We present a multimedia solution for easily adding virtual annotations to class lectures through the use of augmented videoconferencing and tracked physical props. In the classroom, the actions of the instructor are captured by one or more cameras. We then use a normal desktop computer to add virtual data to the camera image. Our software solution tracks the physical objects and allows for overlays of relevant information, optionally deriving information from the movement of the objects. The resulting video may be sent either to a projector or monitor (to be viewed in class) or over the Internet (to be viewed by remote students). 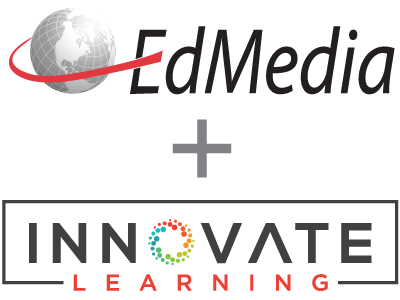 Additionally, our solution allows students to interact with the virtual data through the augmented video, even when distributed over the Internet. Coffin, C., Bostandjiev, S., Ford, J. & Hollerer, T. (2010). Enhancing Classroom and Distance Learning Through Augmented Reality. In J. Herrington & C. Montgomerie (Eds. ), Proceedings of ED-MEDIA 2010--World Conference on Educational Multimedia, Hypermedia & Telecommunications (pp. 1140-1147). Toronto, Canada: Association for the Advancement of Computing in Education (AACE). Retrieved April 25, 2019 from https://www.learntechlib.org/primary/p/34777/.